I demonstrate a neatness check weeks and days before I collect notebooks. The check is simple: I take an unsuspecting student’s notebook and throw it high in the air. If any papers fall out, it fails the neatness check. The next phase of the neatness check involves proper tabbing. As long as it has labeled tabs, I reward neatness points, even if there is nothing else. As you can see, the notebook check and rubric system is much easier than the look at every page and use the tabs to administer paper cuts to your eyeball method. Schools spend thousands of dollars on paper and copy machines. Taxpayers fund schools. Throwing away handouts is akin to robbing taxpayers. I provide a checklist of handouts, conveniently located in a class folder, that students can use as a guide. Requirements for this section include chronological organization with clearly dated papers and adequate handout condition. Understanding any subject requires understanding its vocabulary. Most vocabulary, however, is quickly forgotten and thrown into the nearest receptacle never to be seen again. Having a specific notebook section helps students review key words and prepare for exams. Vocabulary must be easily accessible and readable for full points. Journals provide students opportunities to see their progress, unless those journals are tossed in the dumpster behind the school. Requiring students to maintain journals chronologically forces them to write them, keep them, and occasionally read them. Journals also give excellent opportunities to practice timed-writing. The miscellaneous section can contain artwork, pictures, goals, designs, or anything the student feels makes his or her notebook unique. The same neatness and organization requirements remain in effect. By communicating clear expectations, students are more likely to organize class materials and gain an important life skill. Each category should be broken down, spelling out specific requirements for receiving a specific amount of points. It should be presented as a table or a checklist and communicated well in advance. For an easy to make, ready to use notebook rubric, click here. Still not convinced you have the time for a notebook check and rubric? Not wanting to clutter up your room with piles of binders? Try this: Use notebook grading time as one of your independent reading strategies. Simply assign sustained silent reading and walk around the room as you check notebooks. Not only does it save clutter around your desk, it makes students really nervous as you leaf through their binder right in front of them. 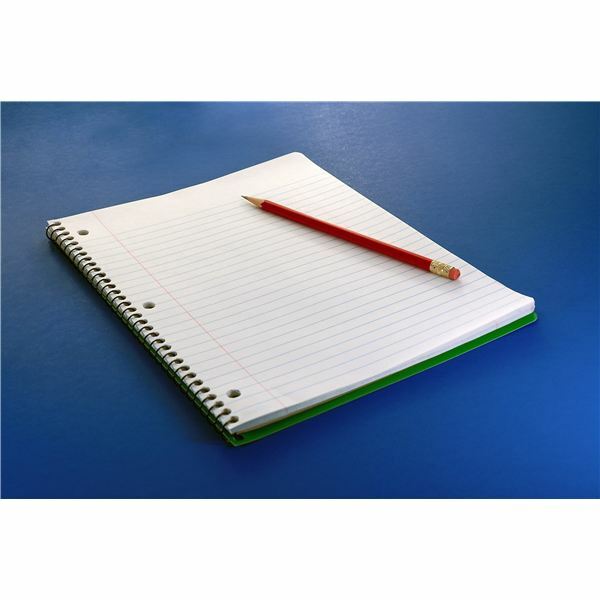 If you really want to put students on the spot, collect the notebook and ask questions on the material in it. If they answer the questions correctly, give them a prize. For example, if you spent hours teaching Greek and Latin roots, you could call the student to the front of the class and quiz them on the roots they should know. End arguments, raise standards, and improve instruction with rubrics.